EMF » Prospective cohort study of cardiac risk profile of Emergency Department patients with chest pain: a comparative analysis of risk stratification tools. Emergency Medicine Foundation > Projects > Queensland > Prospective cohort study of cardiac risk profile of Emergency Department patients with chest pain: a comparative analysis of risk stratification tools. Prospective cohort study of cardiac risk profile of Emergency Department patients with chest pain: a comparative analysis of risk stratification tools. What outcomes will result from cardiac risk profiling for patients presenting to the ED with chest pain? 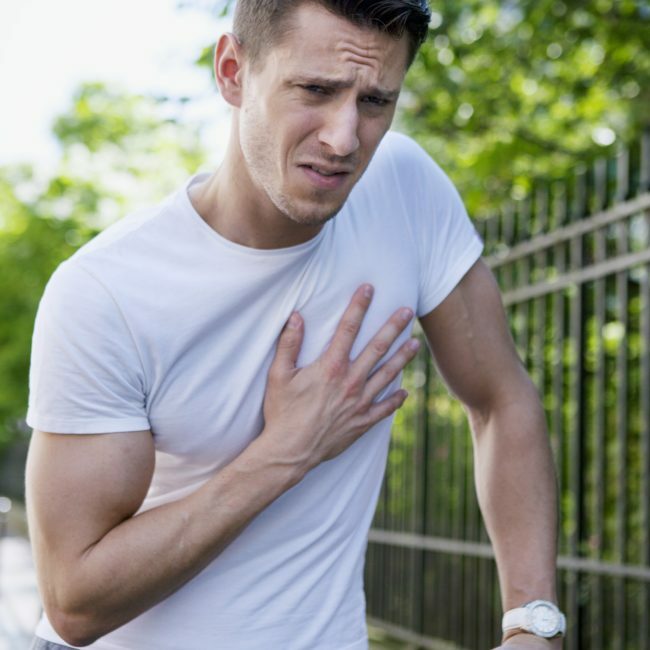 Appropriate disposition of emergency department (ED) patients with chest pain is dependent on clinical evaluation of risk. A number of chest pain risk stratification tools have been proposed. The aim of this study was to compare the predictive performance for major adverse cardiac events (MACE) using risk assessment tools from the National Heart Foundation of Australia (HFA), the Goldman risk score and the Thrombolysis in Myocardial Infarction risk score (TIMI RS). This prospective observational study evaluated ED patients aged ≥30 years with non-traumatic chest pain for which no definitive non-ischemic cause was found. Data collected included demographic and clinical information, investigation findings and occurrence of MACE by 30 days. The outcome of interest was the comparative predictive performance of the risk tools for MACE at 30 days, as analyzed by receiver operator curves (ROC). Two hundred eighty-one patients were studied. The TIMI RS and Goldman tools performed better than the HFA in this undifferentiated ED chest pain population, but selection of cutoffs balancing sensitivity and specificity was problematic. There is an urgent need for validated risk stratification tools specific for the ED chest pain population.